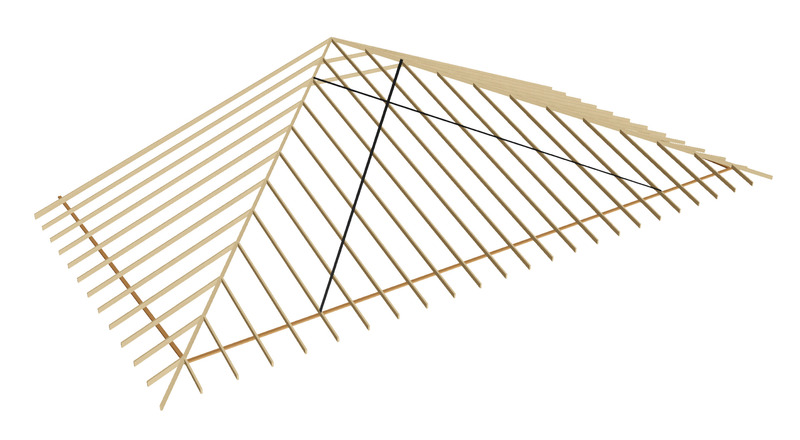 For standard roof trusses less than 13m, no bracing to jack trusses is required. For standard truss spans of 13m to 16m, the single steelbrace shall be arranged in an X-shape configuration. The angle from steelbrace to end wall shall be between 30° and 45°. 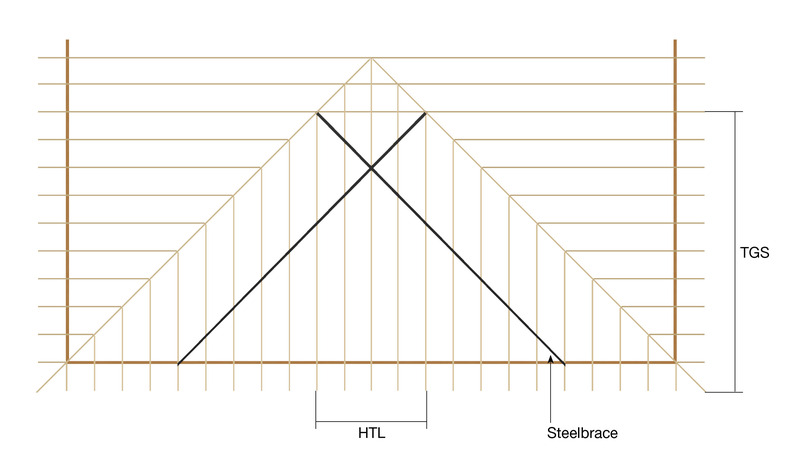 Where the Horizontal Top Chord Length (HTL) is less than the Truncated Girder Station (TGS), the steelbrace shall be arranged as shown. 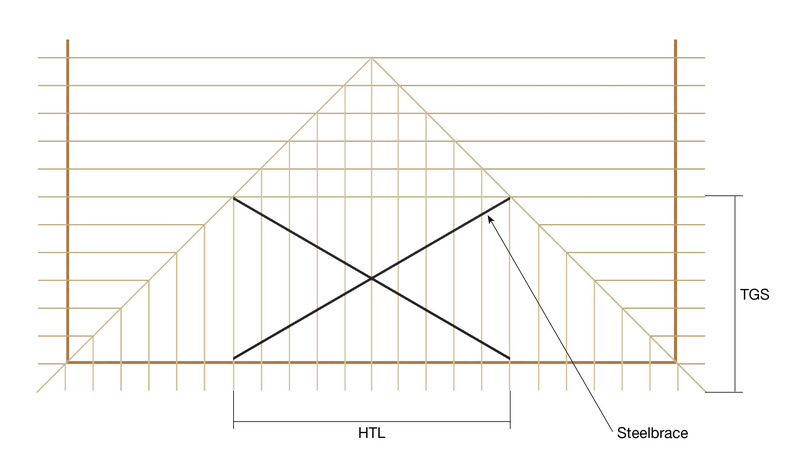 Where the Horizontal Top Chord Length (HTL) is 1 to 1.5 times the Truncated Girder Station (TGS), the steelbrace shall be arranged as shown. 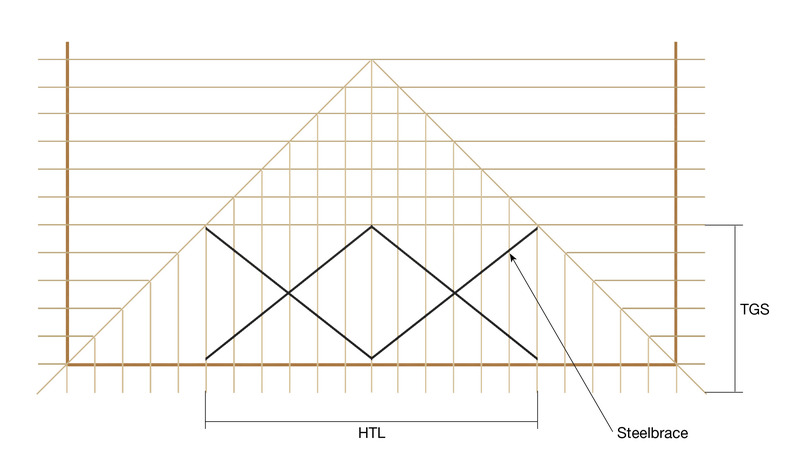 Where the Horizontal Top Chord Length (HTL) is longer than 1.5 times the Truncated Girder Station (TGS), the steelbrace shall be arranged as shown.